After 2018’s chicken fiasco, KFC was in the headlines for all the wrong reasons last year. 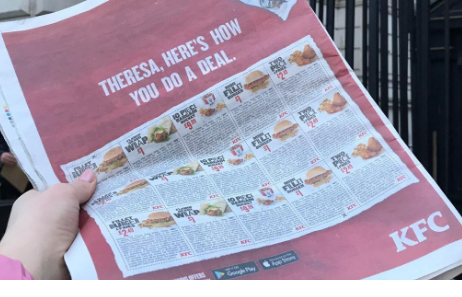 However, opening the newspapers in the morning and seeing KFC’s new campaign has really made us smile. Aimed towards the mismanagement of Brexit and the celebration of Valentine’s Day, these quirky ads are truly brilliant. I for one can only hope there are more on the horizon to make my morning commute that little bit brighter. Old Spice always stirs up a laugh with its ads. It’s a brand that doesn’t take itself seriously and its latest stunt has highlighted this while also making history. Old Spice decided to create an ad that lasts as long as its new fragrance. How long does that fragrance last? 14 HOURS, and yes, so does the ad. The ad has made it into the Guinness Book of World Records as the longest ad ever made. I'm not talking about the TV ad here. While it is a great ad (check it out here), HSBC has gone one better and done something I absolutely love. 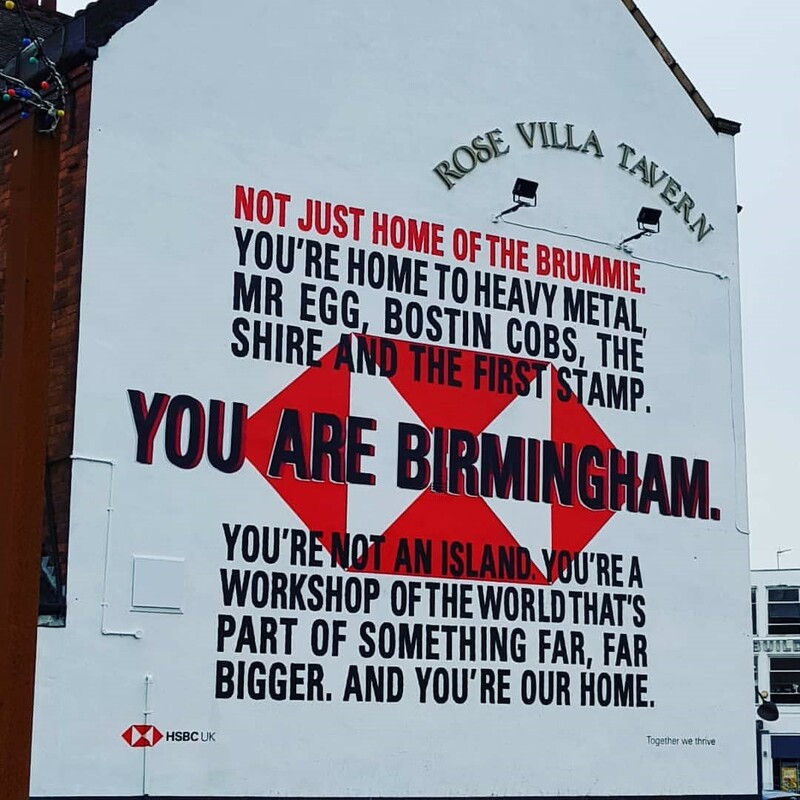 In cities like Birmingham, Manchester, London and Sheffield, HSBC has inspired local pride in abundance by creating these guerrilla ads on the side of buildings. Birmingham is to be the new home for HSBC, and this Brummy says what a ‘bostin’ introduction. If you haven’t seen the Fyre festival documentary, then where have you been this year? The Netflix documentary has been talked about all over social media, from Facebook to LinkedIn. However, the best piece of marketing to come out of this was by Shutterstock. Using its own stock videos, it created a trailer based around the original Fyre festival trailer featuring models, yachts and swimming pigs. It truly is reactive marketing at its finest. This one has caused disagreements in the office as well as around the globe. The Gillette advert that has resulted in many loyal customers abandoning their products, challenged men to be best they can be and to pass that on to the younger generation. However, it is too political for some, with Piers Morgan labelling it a 'war on masculinity'. Whatever your opinion on the ad, it’s the most talked about marketing campaign so far this year and has caused a stir. Its been a good 2019 so far for marketing and I cannot wait to see what the next ten months has to offer.